CARSTAR offers the highest quality repairs and customer satisfaction in the auto body repair industry. Our CARSTAR stores take pride in offering a clean and inviting environment. We feature state-of-the-art unibody and frame repair equipment, as well as expert painting. We’re also committed to excellent customer service, which we know translates to expert quality work, quick turnaround and affordability. From the moment you request a tow until we hand you back your keys, you can rest assured that your car is in the best of hands. 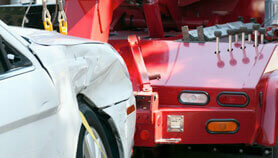 Auto Collision Repair always starts with a thorough assessment of damages. If the extent and location of your vehicle’s damage allows it, then paintless dent repair is a quick and affordable solution to having your car fixed. 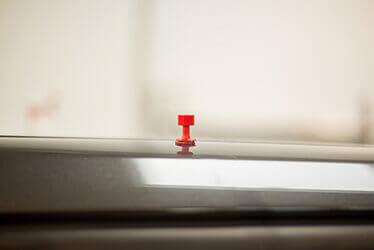 It’s a great option for minor dings and dents. For damages that do not allow for paintless dent repair, CARSTAR offers Conventional Repair as well, which includes expert structural and body repairs, followed by paint and refinish. This process usually takes a lot longer than PDR. 24/7 Assistance: Going the extra mile is what we do. At CARSTAR, you can count on us to help with towing your car, vehicle drop-off and liaising with your insurance company so you don’t experience any more headaches. Expert Assessment: The quality of damage assessment is as important as the quality of repairs.Our expert technicians will carefully evaluate the vehicle for both visible and hidden damage to ensure a correct repair project. Quality Above All: We take pride in all work we perform, which is why we constantly conduct quality inspections at different stages of the repair process, including quality control and quality assurance inspections. National Warranty: We offer five year nationwide warranty on qualifying repairs, so you don’t have to worry If you move to a new city or happen to be traveling. State-of-the-art Repairs: We guarantee you expertise and professionalism. Using state of the art equipment, our highly trained and experienced technicians will conduct auto body repairs to fix the vehicle’s frame, fenders or doors. At CARSTAR, we provide an expert color matching system to paint and refinish your vehicle after repair. Full Control: We won’t do anything without you. After damage assessment, you’ll be provided with a detailed repair plan and options, so that you can choose what’s best for you. During the entire process, we will constantly keep you updated with the repair status of your car or any developments. Excellent Customer Service: We understand the stress and frustration of having your vehicle in the shop, so we will make the process as easy as possible for you and our customer service will always be ready to assist and answer any questions you may have. No Bureaucracy: The last thing you need after being involved in a collision or having your car damaged is to have to deal with your insurance, or any paperwork for that matter. We will take care of everything for you and guarantee a stressless process. What do I do in case of an accident? What do I do in case of an accident? First, stay calm. If there are injuries, call 911 immediately. Do not move your vehicle, unless you are in immediate danger and it would be safer to get your vehicle in a different location. You should get the name of the person (s) driving the other vehicle (s) involved along with their phone number, driver's license, vehicle license and insurance information. Call the insurance company and inform them of the accident. They will ask for details, so try to obtain any witness' name and phone number (s) and also note the location, time and date. Use your camera phone to take pictures of the scene, vehicle damage and witnesses. How do I choose a body repairs shop? How do I choose a body repairs shop? When you have an accident, you have the right to determine where you want your vehicle towed and where you to choose to have your vehicle repaired. You might want to do some research before you decide and take into account factors like whether or not they specialize in collision repairs, quality of repairs, customer service, location and more. 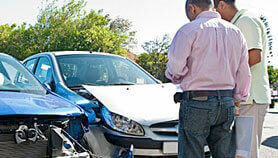 How does the auto collision process work? How does the auto collision process work? The repair process begins with you bringing your vehicle in for an estimate with a trained estimator. We will work with your insurance agent to process the repair claim. Our expert technicians will conduct a thorough disassembly of all damaged areas of the vehicle to determine any structural or mechanical damage. You will be presented with a detailed repair plan and if you give the go ahead, we will order the needed parts for your vehicle and then complete the repair. Once the repair is complete, we will conduct a detailed inspection of the interior and exterior of your vehicle to ensure a quality repair. How much does it cost? How much does it cost? The cost of the repairs depends greatly on the type of damage your vehicle suffered, the parts needed for the repairs, and the processes involved. Once the damage assessment is complete, you will be provided not only with a detailed repair plan, but also an estimate. Your estimate should include a thorough inspection of the work to be done on your vehicle, a description of the repair parts to be used, what items your insurance will and will not cover and the expected amount of the repair. One of the reasons estimates may differ from another shop is thoroughness of the appraisal process. Some estimates may leave necessary repairs out of the initial estimate, causing the amount to be different from another facility. 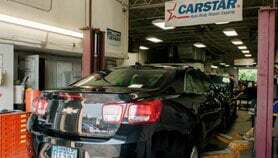 At CARSTAR we are thorough in identifying the steps necessary for a quality and safe repair for your vehicle. How does the deductible work? How does the deductible work? The guilty party’s insurance usually covers the cost of the repairs. If that’s your insurance company, then you might have a deductible that you’ll have to cover. Your auto policy declaration pages will indicate the applicable deductible. It’s always important to double check the accuracy of your policy information with your insurance company before and after a loss. Your deductible is due when you pick up the vehicle after repairs are complete. Look for a body shop that offers financing for deductibles if you don't want to pay this out of pocket. Why should I choose CARSTAR? Why should I choose CARSTAR? We offer high quality auto collision repairs with state-of-the-art equipment and expert technicians. Our inspection process is comprehensive to fully assess the damage and repairs needed to the vehicle. We use a structured repair process to ensure the repair meets the vehicle manufacturer’s standards. Our experts have I-CAR and ASA certifications, as well as training in the latest vehicle materials and technology, and will perform a thorough repair using the highest quality parts and products to restore your vehicle to pre-accident condition. Before the vehicle is returned to you, a thorough interior and exterior inspection, a test drive and a complete detail will be completed to ensure the repair meets your standards. We also offer nationwide warranty on qualifying repairs, so you can have peace of mind whether you’re travelling or moving to a different city. Do you offer financing options? Do you offer financing options? Yes, we do. 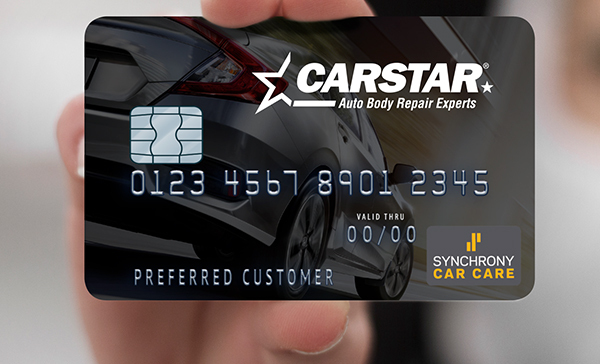 We offer a financing option with the CARSTAR CarCareOne credit card, which is specifically designed to help get you back on the road without causing a dent in your finances. Our financing option comes with many benefits, including convenient monthly payments and no annual fees.